Pretty Me Up! : Emani Minerals: Review & Swatches!! Emani Minerals: Review & Swatches!! Our mission is to create the purest form of cosmetics by incorporating fewer yet higher-performing ingredients. We continue to pursue purity and product perfection through intensive ingredient research. Our purity is the key to what makes Emani Minerals a top-selling makeup line in the ever-growing Organic and Vegan industries. We have developed a loyal following of top makeup artists, celebrity stylists and Hollywood studios. Through our on-going product research, we are continuously incorporating new green, clean technologies into our line of products without compromising product performance. Our products remain cruelty-free and vegan-friendly. Emani is dedicated to avoid the further depletion of our natural resources when creating our products. Whenever possible, only sustainable and recycled resources are utilized. Read more about Emani Minerals HERE! Infused with a luxurious blend of hyaluronic acid, vitamin A and jojoba oil that helps to balance and maintain the moisture of your skin. Entirely non-comedongenic and ideal for dry or mature skin. I am sincerely impressed with this foundation!! It says that it's suitable for dry, mature skin, however I felt it dried down to more of a matte finish!! I think this is best for normal to oily skin types!! 100% pure pigment foundation base with built in sun protection against UVA & UVB rays. This foundation creates a breathable barrier that helps to protect your skin from the environment & pollution. No mineral veil necessary. I think this would be suitable for oily skin-types because, unfortunately, it was sooo dry on me and made me look a little caky. Then again, I think it's all about moisturizing and prepping the skin before applying a mineral foundation. I am not a fan of loose minerals- I prefer mine pressed. 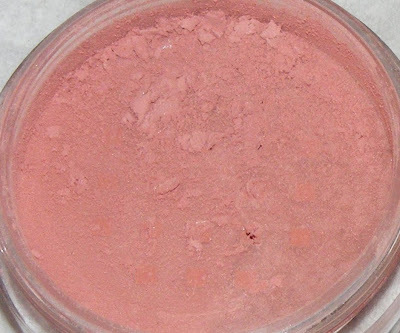 100% pure mineral blush can be warn all over to create a natural luminosity and dewiness look to the skin . Invent delicious lip colors by blending a mineral blush with an Emani Lip Hydrator or Base Transformer for a glossy finish. Again, I prefer my minerals pressed. But this blush is very gorgeous. It's a soft peachy-pink with a little luminosity! 100% pure mineral pigments for eyes, lips or face made complete free of talc or fillers. Emani Color Dust goes on sheer or for an intense finish, just wet brush and apply. Blend with an Emani Base Transformer to create beautiful lip colors! 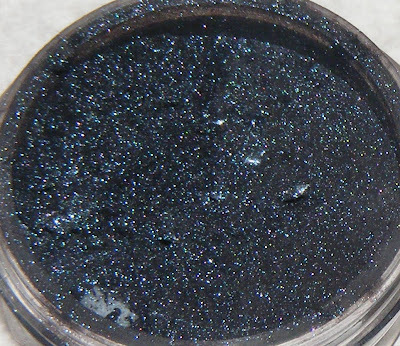 Applied wet, it reminds me of MAC's new Mineralized Eye Shadow in Blue Flame (from the style black collection)! What shade are you in the liquid foundation?